Do you recommend Juice Plus+? No. The Orchard Blend and Vineyard Blend have similar ingredients. The Fruit Juice Powder and Pulp in the Orchard Blend is from Apple, Orange, Cranberry, Beet Root, Pineapple, Acerola Cherry, Peach, Papaya, Date and Prune. It also contains Citrus Biofavonoids and it’s natural color is from Annatto, which is different than the Garden Blend. The Vineyard Blend has it’s Fruit Juice Powder and Pulp from Concord Grape, Blueberry, Cranberry, Blackberry, Bilberry, Raspberry, Red Currant, Black Currant, Elderberry, Pomegranate, Green Tea, Ginger Root and Grape Seed. It also contains Cocoa Polyphenols, Mixed Tocopherols, and Tangeretin, which differs from the Garden Blend. Note that the fruits and vegetables aren’t listed as organic. Tapioca syrup is chemically refined high fructose. So, what’s wrong with high fructose corn syrup? Read this article on the topic by the Weston A. Price Foundation. We don’t recommend maltodextrin in any form. Fibersol-2 digestion-resistant maltodextrin is a soluble corn fiber that acts as a low-calorie bulking agent containing 90 percent dietary fiber. Fibersol-2, digestion resistant maltodextrin, is a spray-dried powder produced by a proprietary method of controlled enzymatic hydrolysis of cornstarch. It has numerous starch linkages that remain undigested by enzymes of the human digestive tract. Why would we want to ingest a food product we can’t digest? Evaporated cane juice is just sugar, even if it’s organic. I often see “evaporated cane juice” on processed food labels. Don’t be fooled by the name … evaporated cane juice is just a fancy name for sugar. This is plain deception by the food manufacturers, done in order to hide the true sugar content of foods from the consumer. Really … if you see “evaporated” and “juice” in the same word on an ingredients label, it should make you wonder what else the manufacturer is trying to hide from you. When the sweetener reaches your intestine and liver, your body won’t recognize any difference between “evaporated juice” and plain old sugar or high fructose corn syrup. So the first three ingredients in these Juice Plus+ products are essentially different forms of sugar. We are also concerned about ascorbic acid and folic acid. Ascorbic acid is actually a synthetic form of vitamin C. Almost all vitamin C supplements on the market use ascorbic acid. What’s worse is that ascorbic acid is not just synthetic. It is also usually derived from genetically modified corn! The Winter 2009 edition of the Weston A. Price Foundation’s Wise Tradition Journal cites 3 studies which give pause about large doses of vitamin C. The first study from the Jun 15, 2001 issue of Science showed that “synthetic vitamin C may contribute to the formation of genotoxins that can lead to cancer”. A second study presented to the American Heart Association showed a link between consumption of only 500mg of vitamin C per day and a greater propensity toward thickening of the arteries [Los Angeles Times, March 3, 2000]. Even more recently, athletes taking 1000 mg of vitamin C per day showed reduced endurance capacity from interference with antioxidant enzymes [American Journal of Clinical Nutrition, Jan 2008]. Instead of ascorbic acid we recommend acerola berries, which can be consumed in powdered form. I wrote an article about it that I recommend you read: Vitamin C in Acerola Cherries. Folic Acid is the synthetic version of folate. Read another article I wrote about why we don’t recommend folic acid and what foods you can consume for folate. I have not investigated some of the other ingredients listed because I think I’ve made enough of a case for why we don’t recommend this product. I do want to add that the Juice Plus+ Complete Shakes‘s first ingredient is soy, which we don’t recommend. Lastly, I haven’t investigated their processing methods which may be another concern altogether, if it entails high heat and pressure. But, what if my children don’t eat vegetables? Isn’t this better than nothing? Our response would be no, we wouldn’t recommend Juice Plus+ even if your children don’t eat a single vegetable. Some in our community are concerned that their children don’t enjoy and won’t eat vegetables. Dr. Thomas Cowan, MD, writes, “Because children have a relative paucity of the enzyme that converts B-carotene into vitamin A, children younger than five years generally do not do well with vegetables. I tell all my parents not to worry about their children not liking vegetables, as this is normal in this stage of life. In fact, because they are slow in this enzymatic conversion, perhaps it is best left to the cow to do this conversion and for the child to eat butter and cream. This is actually probably more as nature intended it anyway.” We recommend Dr. Cowan’s book, The Fourfold Path to Healing via our Amazon affiliation. He also co-authored the Nourishing Traditions of Baby & Child Care. Our response to Juice Plus+? Just eat real food. [Update. We had a community member request that I add an alternative choice to this article. There is not an alternative we would recommend. We recommend whole foods, traditionally prepared. Animal foods are much more nutrient dense than plant foods. I would recommend offal such as chicken liver pâté or cod liver oil to boost the nutrients in our diet over any powered plant food product. Here is the list of super foods offered by the Weston A. Price Foundation. 94 Responses to Do you recommend Juice Plus+? No. Do you recommend Youngevity Beyond Tangy Tangerine? No, we don’t. It is made of synthetic vitamins and artificial sweeteners. We don’t recommend any such multivitmain-like food products. We encourage folks to eat real food, not food substitutes. A family member of mine has been sucked into the Youngevity thing. I’ve listened to several of their CD’s and I definitely agree with some of their information, but also find it lacking, and I find that their products do not match up to what the speaker is saying about nutrition. This family member has been hounding me for 2 years now about buying Youngevity from her, and in this time she has become anemic, seen a doctor, refused iron pills and instead opted to double up on the vitamin powder she was taking, with no results. We had a big discussion about it the other day, and while I think I made some progress in helping her understand, Youngevity has it’s claws in deep! They are also organic certified and no synethic vitamins or artificial sweetners. I confirmed that the list of ingredients we have for the chewable is correct. Ascorbic acid is a synthetic vitamin: https://www.radiantlifecatalog.com/whats_wrong_with_ascorbic_acid. Organic evaporated cane Juice is not a natural sweetener, and we don’t recommend it. The capsule ingredients do include synthetic vitamins such as calcium ascorbate which is a combination of calcium and a form of vitamin C we suggest people avoid. We would not recommend the capsules, the chewables, the bars or the shakes. May I ask .. I buy the GIMME organic seaweed however it has maltodextrin in it. If it is organic is it any better or I should avoid it? Does maltodextrin have MSG in it? I wouldn’t recommend this food product based on the ingredients I could find online: http://shop.gimmehealth.com/img/nutrition/gmh-004037.gif. If that what appears on the label of your package, I personally wouldn’t discard it. Beyond the maltodextrin, which we wouldn’t recommend organic or otherwise, we don’t recommend the oil, and I don’t trust the natural wasabi flavor. We would recommend seaweed that is unadulterated. Just seaweed. This brand is wild and dried on the beach – no other ingredients: http://amzn.to/1I9gpXG – Kombu Laminaria japonica, wild. That’s it. We don’t recommend food products in favor of real food. thank you so much for your reply . Just wondering do you think maltodextrin has msg in it? Again thank you so much for your response. How can you find out if there is MSG in things like citric acid or maltodextrin. I am a huge fan. I was a very sickly teenager and juice plus basically saved my life. We have used it for 8 yrs in our clinics and have seen unbelievable things with it. My cousin’s daughter just had over a 100 warts on her hands and face. She started taking the gummies and a month later they were all gone. Most of the ingredients you are concerned about are in the gummies to make them taste good. It is also one of the most researched nutraceuticals in the world. Each of us has to choose for themselves, of course, I’ll say simply that we could and would recommend many, many foods that promote health without the concern for the additives, which include synthetic vitamins and the processed sweeteners included in Juice Plus+. Also, the fruits and vegetables aren’t listed as organic, so we don’t know what pesticides, herbicides and the like may be present. The comments are surface at best. There is valid and extensive research on juice plus and the health benefits of REAL foods which is what juice plus is. 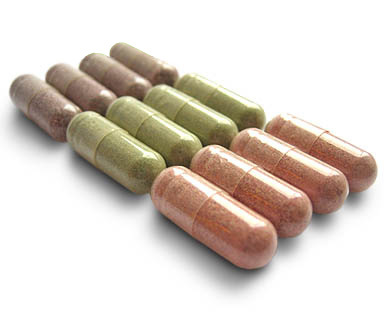 All capsules are made of real foods processed slowly to maintain enzymatic quality. The heat is low not high. All are tested for purity and, more than all, the results are there. The body responds favorably in increased immune function, increased alkalinity, energy and vitality. Digestion improves which improves brain function and nutrient absorption. Cells are healthier so oxygen consumption is more efficient. Read the research! And then make your “valid” comments and rebuttals. The research carried out by Juice Plus is just that, carried out and funded by Juice Plus themselves making it tremendously biased. Until there is actual government research about such products, I wouldn’t touch them with a bargepole! If you want to fill yourself or your child full of corn syrup under whatever alias they give it on their list of ingredients then that’s your prerogative. I work in health sector and this is nothing more than a pyramid scheme that makes all kinds of unfounded health claims. Get the facts straight. It’s just fruits, veggies and berries in capsules. no big deal. If you don’t want the sugar as in the gummies, empty the capsules into applesauce or smoothies. Yes, real food is best! Organic, real food! But a lot of us don’t get it into our diets and our health suffers because of it. Juice Plus does help lots of people. I was a skeptic but it has improved my health, immensely. Lol every company in the world funds its own research. No one else would pay for a companies research, but they are double blind studies. All this artical is not factually true and he hasnt researched. We do know jp is organic as they use no chemicals and control the areas they grow in. Had he bothered to loom he would know this. There are no pesticides or herbicides. It is all minimally processed. It has the NSF certification. It is even tested for heavy metals. It is a solution for many people. Actually Juice plus is organic, their products are grown on family owned farms where no pesticides/herbicides are used. Tapioca syrup is a natural sweetener, not artificial. Insoluble fibers are not digested by the human body, however extremely beneficial for our GI health. Should we not consume those? And yes cane sugar is used, but very minimal to help with the taste. So are you saying that this is a valid reason to not give it to our children, overlooking all of the other, proven health benefits that have been proven in the double blind placebo, clinical research studies done over the years? So if you have a child who refuses to eat fruits and veggies, that means the diet they are consuming is probably loaded with artificial, sugar loaded, processed grains, and higher in fat. Maybe continue to focus on these topics. Not sure who endorsed you to try to rip apart the Juice Plus products, but I feel you are really stretching for validity. My children love the gummies, and in comparison to last winter, our sick visits were reduced from 15 visits (between 2 boys) to 3 this year. 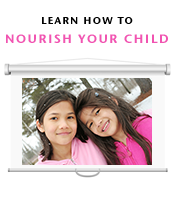 Juice plus is not meant to take the place of the fruits and vegetables, but it surely does bridge the gaps where are children and ourselves are lacking in nutrition. Thanks for taking the time to reply to everyone Sandrine. I just wanted to say that the number of sick visits to a Dr in a year is not a good indicator of health or the effectiveness of a product. My 3 kids, ranging from age 1-6, have never seen a doctor, or a nurse practitioner or any other medical professional, because they simply do not get sick beyond a few mild colds in a year. Also, each year that a child grows older, they are less likely to “need” to see a Dr because children tend to outgrow getting very sick. In my personal experience, there really is no replacement for real, whole, traditional, organically grown/raised food. For the record BL my boys are now 3(almost 4) and 2. And for us the sick visits were an indicator of how Juice Plus has enhanced their health. True there will never be a replacement for the real thing. But the “real thing” isn’t even a guarantee when bought at the store. The quality of the produce available to us is questionable unfortunately. So I am thankful that Juice Plus works as a nutrient insurance with proven results. Much rather give my children this over flinestone vitamins, or any other “supplement” recommended by a pediatrician. Supplements that our not governed by the FDA. Juice Plus has a NSF certification. This post is simply an opinion, opening up a discussion as most blogs do. I just wish the person writing this blog actually had children. Whether or not I have children has no bearing on the concerns we have about this product. The purpose of this article is not to convince you to abandon this product but, rather to explain why we don’t recommend it for those in our community who have requested this article. If you are happy with Juice Plus, please carry on, and let this discussion rest. To start, I am a Juice Plus user for 3 years and have never been healthier. It has helped me to change my eating habits, as well as giving me the basis of fruits and vegetables that I need on a daily basis. It’s too bad that you don’t do more research on a product before you write your articles. This implies that all Juice Plus products should be avoided because of some ingredients that you disagree with that are in the chewables. Interestingly enough, I just checked the list of products that you do recommend and found dehydrated cane sugar juice on the list. This seems to contradict one of your comments about Juice Plus. The truth is that the science of nutrition is inconclusive at best. You hale from a high animal protein/ dairy side yet there have been over 27 years of study by Dr. T. Colin Campbell that shows both animal protein and dairy to be detrimental to human health. Indeed you are entitled to your opinion, as we all are, but please maintain that it is an opinion and not based on any scientific fact whatsoever. What scientific evidence are you basing your opinions on may I ask? As a health care professional, I am fully aware that all research carried out by juice plus is self funded and therefore totally biased with no real validity in terms of being evidence based research. You can say what you like, juice plus is no more than a highly promoted, money making pyramid scheme with no actual real evidence to back upnauch claims. You will sing the praises of such products as long as you’re selling the products, you have to, it’s a business after all. Where you work probably is a pyramid…all sorts of people at the bottom and one person at the top. How likely are you to be at the top position (or should I say at the top of the pyramid)??? Polly – as you may be aware peer reviewed studies and double blind placebo studies are usually a good predictor of the product’s characteristics and obciously they are not ‘totally biased’ as you seem to claim, independent from the fact who initially sponsored them. You can’t buy that easily into the number of top journals that Juice Plus’ studies have been reviewed by peers and then published in. If you are truly health professional you should know these things unless you have a different agenda, and could be sponsored by the companies which are opposed to Juice Plus company and their products. “A project of the Westin A. Price Foundation”. It is the Weston A. Price Foundation. Thank you! Those are helpful resources. I wonder what you might suggest for our family though… We have a lack of enzymes and a condition called “dumping syndrome” for some of our children that result in following a limited diet in the area of veggies and fruits due to inability to break them down well or too quickly resulting in insulin issues. In such cases would the WAPF recommend supplementation beyond the super foods mentioned?Just curious. We are moving overseas and I am making decisions on whether to stock up on certain supplements / foods before we go. I appreciate your response! We are also severely lactose intolerant.. This is a great product. I agree with the above post. Jp is peer reviewed and backed by many scientific studies. Especially with pregnant women — the capsules contain folate and NOT folic acid. Please do more research and you will see. We would still not recommend the product, even if the capsules contained folate. I did more research. The capsules do have folic acid: http://bit.ly/juicepluscapsules. In addition to other synthetic vitamins we don’t recommend such as calcium ascorbate which is a combination of calcium and a form of vitamin C we suggest people avoid. I would do more research before you spread invalid information. You left out some important information regarding clinical research and how Juice Plus is made. Juice Plus is actually better than organic. The fruits and vegetables in Juice Plus are picked at the peak of ripency unlike the fruits and veggies in the grocery store which are picked a week or 2 prior. This is important because the nutrient value increases in the later stages of ripening. Dr. Sears, one of the most highly respected pediatricians in the country, supports Juice Plus+ and recommends it to his patients. I had already seen that video before I wrote the article and didn’t hear any mention of pesticide use. We don’t agree with all of Dr. Sear’s recommendations. We don’t agree with his position on vaccines, baby formula, or his recommendations for baby’s first solid foods, for example. Juice Plus would be another recommendation we don’t agree with him on. kristinfaith – It’s not a whole food. It’s a processed food with unnatural ingredients added. Powdering any food is not good for it. Everything we eat should be recognizable as a food. The test is, “Would your great-great-grandmother recognize it as a food? Another thing to consider is the chemical residues present with any kind of industrial, mass-production of a pseudo-food, such as the cleaning agents used in the equipment, and more. Imitation food or rather, drink. Like with any processed food supplement with bad ingredients, maybe the good ingredients can temporarily help people who really, really need help with their health, but real nutrition in the form of whole foods is the only way to go. Juice Plus is real fruits and veggies, not imitation. I agree that whole food is the way to go, but are you getting 7 to 13 servings of fruits and veggies a day?? I know I’m not. Juice helps me get that. It is not a replacement, but a better alternative to a multi-vitamin and more convenient than juicing every day. My kids aren’t sick like they used to be and I feel the best I have felt in a long time. That’s proof enough for me. I tried to whole foods only route and it was not helpful. 7 to 13 servings of fruits and veggies is hard and expensive to get every day. Animal foods are far more nutrient dense that plant foods. We recommend that vegetables be eaten with traditional fat such as butter and coconut oil and that fruit should be eaten like a dessert, more sparingly. The sugar and salt in the Juice Plus capsules are actually removed. My family uses animal fats, butter, and coconut oil, but we did not notice a change In our health until Juice Plus. The research doesn’t lie. My friend’s father was able to beat his cancer because of Juice Plus. I have seen what it has done first hand and that’s why I am so passionate. Kind of wondering what education Sandrine Love has, don’t you? Sadly animal foods don’t contain phytonutrients. The only place you’ll find these are in plants and sadly most of the population do not eat enough. Once or twice a week doesn’t cut it. We need it every day. This is a much better option than nothing at all or synthetic junk. The animals are already converting the phyto-nutrients for you. What the animal eats becomes available in the meat. We are what we eat, and this applies to animals no differently. The cow lives in the sunlight and eat the grass, and the milk we drink is high in vitamin D. That’s the beauty of nature. Plant nutrients absolutely enhance the diet, but to say the phyto-nutrients the animal eats are not available to us is wrong and ignorant. Great article. Thanks so much for posting this. I have been harassed by Juice Plus people for a couple months now. So thrilled my daughter won’t eat their gummies! Now if only I could get them to stop calling me! Their tower garden is a cool concept but now I’m skeptical that it’s only funding the other! I’d love to know your thoughts on doTerra supplements. Our focus is on whole foods, so we really don’t explore many supplements. Thanks for posting. I’ve been wondering what the Weston A. Price Foundation thought about this product. Although, there are some of these ingredients (folic acid and ascorbic acid) in Standard Process supplements and the WAPF recommends those. Why? Hi Amanda, we are connected as a project of the Weston A. Price Foundation but, we are not the Foundation itself so, I recommend you contact them directly for their answer. http://www.westonaprice.org/contact-us/. Nourishing Our Children does not recommend Juice Plus+. The Foundation hasn’t made a statement about these products themselves but, I am very confident that our position would be one and the same due to the concerns I raise, and very likely others. Thanks for that article! I did NOT know that tapioca syrup is another name for high fructose syrup! Shocker! I think I have seen that ingredient listed somewhere on some products I have looked at. Can’t remember which ones, but now I will be watchful. This article is just a series of negative opinions toward JP, so you undermine your own credibility, if you had any to begin with as a “blogger”. Anyone with a brain knows to eat fruits and veggies and lean protein. The trick is trying to fit that lifestyle into MY day! Juice Plus gives me what I need and what I want: something plant based packed with phytonutrients that doesnt taste awful or that I have to swallow whole. So I take the gummies and do not worry about the additives that make it a more enjoyable experience. Do you put artificial processed italian dressing in your tuna? Then you have made something thats good for you more enjoyable. Nothing wrong with that, right Sandrine Love? As a point of clarification, we are an educational initiative of the Weston A. Price Foundation http://www.westonaprice.org. This blog is only one way in which we teach the dietary principles discovered by Dr. Weston A. Price, so while we have a blog, we are not a blog. I don’t put artificially processed italian dressing on my tuna. I make my own! Everyone will choose for themselves how they would like to nourish themselves. I see that several individuals have touted the benefits of this product. However, I believe getting our nutrients from real food is preferable. Some years ago I used a product called Eniva which was supposed to correct deficiencies and I think it may have provided some benefits. However, knowing what I do now about products that have health claims, I would not choose this product over wholesome and easy-to-digest foods I can prepare in my kitchen which I believe can provide all the nutrients necessary for health: fermented foods including sauerkraut, beet kvass, kombucha, bone broths and stocks, nettles and other herbal infusions, sea salt in water, and cultured dairy foods. You recommended a powder. How is that powder made and is it encapsulated? Has heat been applied? If it is not, then you have compromised the nutrients of that food. There is no substitute for real food; period. Each must make the decision of what they think is best for them and I highly recommend people do their own research before making those decisions and seek out people, educators and forums to ask questions of and bounce ideas off of. And as your education base grows you might change your mind on what you previously thought was best. I am grateful for articles like this one and agree that I personally would not use this product nor recommend it to my clients. The main reason being our microbiome (the bugs that live in us and on us) supports and dictates our level of health. The sugars in this product no matter how minimal nor where sourced can disrupt the healthy balance of bacteria and support the “bad” bacteria; the opposite of what ones objective should be. Through my personal experience and in practice I find that individuals need as much support as they can give to the “good” bacteria. Even if your diet is impeccable you are still exposed to environmental toxins, stress and things you cannot control that all undermine the health of our microbiome which in turn undermines the health of you and prevents you from living vibrantly every day. I stand behind the add more grass-fed butter, fermented cod liver oil, bone broth and other healthy fats and protein. Two suggestions I use with clients who are concerned about getting more nutrients into their children or selves are 1) cook fresh organic vegetables and raw unprocessed seaweeds into bone broth you already have on hand, blend together with immersion blender and add pat of butter before serving. Rich savory, full of nutrients in a bioavailable format. 2) Take a small handful each of raw baby greens, micro greens, sprouts and add to fresh raw coconut water and meat in a high speed blender. Blend until smooth. Again the end result is bioavailable nutrition in an easy to digest format. The sprouts and microgreens are already partially digested, full of digestive enzymes and a powerhouse of nutrients. The coconut water and meat are a microprotein and fat making it all much easier on the digestive system and especially important for those with compromised digestive systems. I use both these options in my personal diet as well and can attest to feeling the nutrients being absorbed and my body responding with thankfulness. Very informative article with powerful evidence and articles supporting your claims. I truly appreciate the information you provided and we will NOT be allowing our family to use Juice Plus. I’ve used and had great results with Juice Plus BUT I just want to thank you for your assessment. Many experts won’t touch these subjects because of the barrage of criticism it invites. I have been looking for a source of criticism of JP that is trustworthy as I want to be sure that what I’m giving my kids is actually good for them. It may not surprise you that there are answers for almost every concern raised about JP. The JP experts make a strong case in its favor ( of course). What’s missing for me in the criticism of JP is the explanation for why legit studies as well as personal experience seems to point toward its efficacy. I hope all this comes to light soon! Great article Sandrine! Very informative. You have my support! Excellent article, Sandrine! Juice Plus contains many denatured and synthetic ingredients that are problematic for those challenged with gut disorders. Additionally it contains synthetic folic acid which for those with methylation mutations needs to be avoided. I am sure that for those who have not been on a nutrient-dense Weston A. Price/Nourishing Traditions diet, and are malnourished from consuming the Standard American Diet loaded with low-fat food products, do experience some initial positive improvements from the vitamins that are present. But in the long run, Juice Plus will not support a strong gut nor a robust immune system. I looked at Juice Plus carefully when their products first came out and was disappointed in the additives and synthetic ingredients. Its first three ingredients serve only to increase the consumers’ risk of blood sugar issues like hypoglycemia, insulin resistance, and diabetes. As a certified nutritionist and GAPS practitioner, I do not recommend Juice Plus products. Sandrine, I am grateful for your work and the support you provide to so many! I envision a Google search will reveal a list of the ingredients on the product for you to see yourself? Are you asking me to comment on the ingredients? Kim, as a certified GAPS practitioner and Registered Osteopath, I am afraid I have to disagree with you. The Juice Plus+ capsules and the powders contained within them are very helpful as a foundational product. The research is cited in multiple papers unrelated to the company funded material and has an impact score of over 100 in Medline. You will know that there is no other health product in this category that can match this. For research to get done it has to be funded and you must surely know that this is unlikely to be funded by government agencies for all the reasons that we understand. Here is a link to a file which you will find helpful https://www.dropbox.com/sh/eeoci17nei6w6t8/AAByy-LnA3uuFJqhKVjDyyY1a?dl=0 Please check the Excel file and also read the Characterisation of Capsules study which was an independent non company funded paper out of Parma, Italy. I have used the product for many years personally and with my patients. There is a huge xenobiotic burden into the cellular matrix and it is vital that when patients can’t bridge the nutritional gap that these phytonutrients are delivered in a bioavailable form. Natasha recommends juicing but the drawback to juicing is finding ripe, fresh, organic ingredients and then dealing with the naturally occurring sugars. You will note that the sugars are removed as the powders are carefully dried using a low temperature process. All naturally occurring enzymes remain active. There is a lot of industry inspired misinformation about this product which is not helped by the method of marketing which is viewed with suspicion by the uninitiated. I get great results with it and would find it hard to do my work without this product in my pharmacy. Unfortunately, some of your information is incorrect. You are misrepresenting a product that you obviously do not have full knowledge about. This makes me question your credibility on other topics as well. I feel very confident in the information I presented here and had it reviewed by a board member of the Weston A. Price Foundation, Kim Schuette, who is a nutritionist. Her response is above. If you decide you no longer trust our recommendations, we wish you well on your path. Thank you for posting this! Even though the Dr Sears books set me on my lifelong journey of natural parenting and eating, I lost all respect for the Sears family when they started pushing Juice Plus! Not only is it a red herring nutritionally, but it’s a Multi-Level Marketing scheme for which a Sears daughter is a top-level marketer (meaning she makes money from every sale)! As a nutritional science consultant I make a profit on every customer I counsel – I take it you do not have respect for me either? How about doctors? How about department stores and grocery stores who makes money from every sale? I also manufacture and sell greenhouses and other covers for vertical gardens – and market them in which I make money from every sale. So basically I need to be poor and not make money on anything I recommend? I have no problems with people making money on things they recommend. What is despicable are companies like Nike, Under Armour, Addidas, and every clothing and shoes and whatever other products who put their labels on their products that people buy and not give a penny to these people for all of the marketing they get. So it is ok for corporate giants to make money on their products that people pay for but the people can’t get anything in return? Tell me Laura…what is the right way for people to make money? If people aren’t allowed to make money on something that makes people healthy, then I must assume we must make money on things that don’t help people at all? There is no scheme behind good business practice. Juice plus is a sound company rooted in its mission of inspiring healthy living around the world. All profits are put back into research which most other nutraceuticals don’t do. The Juice Plus company is more than willing to answer questions regarding their products, if you would like to talk to the head of quality control, or the lead scientist, or the physician on staff. Regarding the Folic Acid: The FDA requires that amounts of calcium and iron be on the label. The other 4 – Vitamins A, C, E & folate – are on our label because they are 4 of the nutrients most commonly recognized by customers.Every batch of Juice Plus+ powder contains these nutrients from the foods. The amounts of these 6 nutrients are standardized, i.e. the level for each one is tested for every batch of powder, and if it falls below a certain range, a small amount of plant-source nutrient is added. This standardization for these well-known nutrients is done for research purposes and, less importantly, so it is not necessary to print a new label for every batch of powder. There is no MSG in the capsule shells or in the maltodextrin in the Chewables. like those beads you can put together with a string. glucoses, which is called a starch. digestive-resistant maltodextrin and is the main source of fiber for the product. On a personal note, My mother cannot process synthetic folic acid, due to the MTHFR C677T mutation, and has been taking Juice Plus for 4 years. Her naturopath has looked them over, approved them, and her blood work looks amazing. I question the “we believe” remarks, more than I question the 26 peer reviewed gold standard research articles that are current on this product. There are thousands of nutritionists that recommend Juice Plus to anyone and everyone. It’s about being informed, in which I feel you have not done your work with this product. The company will gladly respond to your questions in regards to the ingredients. If you would like more information on how GOOD it is, look at the research. Sandrine, wow, did you upset the wasp’s nest or what? It’s tough when you review something that someone makes a living off of selling, and when they personally love the product. I’m sure there are awesome testimonies to Juice + , but ideally the ingredients don’t match a whole foods diet, and thank you for sticking to your research. A friend had given me the chews for my kids and I ended up gobbling them like candy- they are far too sweet and sour tasting-they were addicting! Thank you for the work you do. I have been following your blog since before I had children, and brought my children up on the Weston A Price diet as best as I could. I have never once questioned your counsel due to the fact that you don’t have children, In fact, I believe the work you do remains unbiased because of it. We personally are so grateful to you and the Weston A Price foundation. The only thing I have had a hart time with in all of your posts, are the ones about facial structure- narrow heads and palates. The third baby I just had has a very narrow head, despite me eating liver, raw milk and tons of eggs daily. I also waited three years to conceive her. I don’t know what happened! I should email you a photo of my first, second and third to show you the differences. My first has the widest face and I had a bad pregnancy diet….Anyway, thanks again for what you do!! I hope to make it to a conference soon to give you a hug in person. There are some key issues you need to know about. #1-Juice Plus fruits and vegetables are mostly all organic–they are always a minimum of 80% organic and sometimes are 100%. There are problems with crops and weather and therefore Juice Plus does not list the fruits and veggies as organic because it can be just 80% organic. The fruits and veggies are vine-ripened and top quality and are processed with cool water, and they are not heated as you suggest. The proof is in the pudding. I’ve been taking JP fruit and veggie capsules for 11 years. Within a few weeks of taking them my chronic headaches disappeared completely, my all over joint pain also went away totally, my eyesight (according to my doctor!) actually improved and has remained at that level for 10 years! I’m 62 and prior to JP my eyesight was a little worse every single year. My husband’s migraine headaches that were often and completely laid him flat for 2-3 days, went away for good. My nephew who suffered from chronic irritable bowel syndrome suffered zero symptoms after just ONE week of taking JP fruit and veggie capsules! He suffered from the age of 15 until 34 with diarrhea every single day and painful cramping–no more, it’s gone! A good friend of mine after just 2 weeks of taking JP fruit and veggie capsules was able to go off the antibiotics that his doctor told him he was going to have to take every day for LIFE because of his Crohn’s disease–he has no more symptoms from Crohn’s! Plus, my son has a Ph.D. in biochemistry and he read the scientific research on Juice Plus he said he wanted to start taking it too. He said it’s the top level research and he said the research is indisputable. That’s why when a Juice Plus rep says that they can expect lower blood pressure, less cholesterol, a more balanced and strengthened immune system, lower systemic inflammation, strengthened cardiovascular system and more flexible arteries, less gum disease, younger looking skin, and other benefits, they can’t be sued because there is the top level medical and scientific research to back it up. I have two friends who’s children had asthma so back that one of them had missed over 50 days of school and the other child was in and out of the emergency room. After 3-4 months of taking Juice Plus fruit and vegetable gummies BOTH children had such an improvement that the first child missed zero days of school the next year and received an award for a perfect attendance record, and the second child had almost undetected symptoms and no longer took medication or had to run to the ER. You can put JP down all you want but it works for me and for thousands of other people. Crohn’s patient here… Nope. Sorry, you are making ridiculous claims. That’s not how it works for JP or any other supplement. JP is not a panacea. NOTHING is a cure all. Oiy vey. Thank you to everyone for your comments. I have been taking Juice Plus for over a year and have gone back and forth and whether or not I should continue taking it. I asked my doctor about it before I started taking it and she told me that if I was eating a really good organic diet I probably didn’t need it. I decided to try it and I feel like I have had some positive results, but I do believe eating whole foods as near to the natural state as possible is perferable. Hearing opinions from both sides has been helpful to me so thank you again to everyone for sharing your thoughts. Interesting blog discussion! There is no perfection on this earth, unfortunately! Many of us are trying to work on improving our diet. We all have differing amounts of compromise we’re willing/ used to making as far as our diets. I don’t believe the author is trying to disrespect anyone, but rather just present research. I’ve been taking Youngevity, which has all organic fruits and veggies, but don’t expect it to replace an excellent diet. This has been a work in progress for me, and I appreciate the information on this blog. Dehydrated berries, would that be a better Vit C source? Isn’t it difficult to get enough from natural sources? I read somewhere that a medium sized dog (who can make his own) will make 7,000 mg per day. Wouldn’t we need more than that? I really like this article, I only don’t agree that animak products are more nutrient dense than plantfood. We take juice plus and follow Weston Price and Sally Fallon. We have taken Garden Of Life for year, drink raw milk, eat lots of butter, bone broth etc. Eat almost 100% organic no gmo .I really just wanted to added fruits and veggies. We started about a month ago. I did notice that the gummies had ingredients that I didn’t agree with as well. Plus the capsules have a non-gmo on the label but the gummies do not. So I contacted juice plus. I’m not a distributor just a buyer. I asked about the citric acid and papaya. I asked if they knew that citric acid and papaya were both known to be genetically modified. They stated that the papaya is non-gmo but the citric acid is not. They guaranteed that 60% of the ingredients in the gummies are non-gmo. My first thought was, what about the 40%? Right away, the kids stopped taking them. Kids have gone back to GOL. We are still taking our JP capsules and will continue. I do believe that even fruits and veggies that we eat now, from the store are not a nutritious as they were. I’m curious to see what our adult health will be like 6 mths from now. I followed Jack (the juicing guy) for years and know people well into their 80s that juice everyday. So, my thought is why not put it in a capsule. My only concern with the article is Dr. Mercola has his own line of vitamins, so he’s technically in competition with juice plus. We take his vitamin C. It feels to me like the article here, is nothing but a push to buy his line of vitamins and supplements. His line of children’s vitamins isn’t certified organic either! He states too, that in a perfect world our kids would eat a perfect well balanced diet, but they don’t. That’s why he’s provided a whole foods vitamin. Plus the “other” ingredients list, has some ingredients that I don’t agree with. I just think you’ve created your own opinion without a whole lot of research and info. I commend the writer of this article for responding to all the questions and comments. It’s interesting that people got so angry and made personally-attacking statements simply because you don’t recommend or agree with their choice of using Juice+. It’s refreshing to see someone maintain civility when presented with snide remarks. Kudos to you (whether I use the product or not, I commend your responses and courtesy). Thank you! I tried Juice Plus. There is a real issue with the “placebo effect”. The person who sold me Juice Plus told me I wold have stronger nails, better hair and less cold during winter. I woke up about three months later when I realised this was just dried fruit in a capsule. Be wary of people on the Internet with no qualifications who recommend “healthy” products. Thanks for this article. It helped me to wake up and save my money for whole foods. I started taking JP a few months ago. I do lawn care, am middle aged, and have been fighting high blood pressure and fatigue. After helping mow 6-7 lawns in a day, I would be wiped out and go home. Now I am mowing a full day and have enough energy for other projects as well. My blood pressure is now close to normal and is still slowly lowering. I am on no medication and greatly recommend Juice Plus. My mother has been fighting fatigue for the last few years. She now has more energy and is able to do more. The fact that the product is not certified organic is just one of the many reasons we don’t recommend it. Our recommendation is to eat real food. Thank you for your very thorough research on the ingredients! It’s just what I was looking for! Do you happen to cover any of Young Living’s supplements on your site? No, we are focused on whole, real foods rather than supplements.